We are very proud to be the largest in Europe. However, like all businesses wonderful things start from small beginnings. Established in 1986 by the late Rex and Nepi Miller who believed in an opportunity, developed an idea and knew it would be a success. 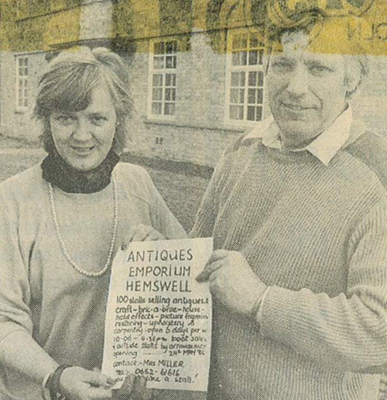 Hemswell Antique Centres opened its’ doors for the first time on the 24th May 1986 with just 150 dealers selling antiques and collectables from two buildings of the former RAF Airfield, Building 1 and Building 2. Building 3 arrived in 2005. Followed by The Guardroom in 2014 which was extensively redeveloped to the modern and welcoming building that stands pride of place at the gateway of the site. The two-storey Guardroom houses dealers from across the UK, Ireland, Spain and France. A trade visit to Japan inspired the design of the new building which has proved to be a roaring success attracting thousands of new visitors and tourists to date. We have a grand following of overseas customers and deliver worldwide. Today our customers enjoy looking around our four large buildings where you will find around 400 dealer display areas, which will keep you enthralled for hours. Take your time to wander through our vast array of bygone treasures and - who knows - you may discover that antiques bargain you’ve been searching for? Our knowledgeable team always strive to provide our customers with the best possible buying experience. It is easy to see why we have been voted as one of the best antique centres in the UK by Homes & Antiques Magazine. 10am to 5pm (Christmas Eve & New Years’ Eve 10am- 2.30pm). We are open all over Easter. Hemswell's association with the RAF began during the first world war and continued into the 1960s. Originally, called RFC Harpswell, the airfield changed its name to RAF Hemswell when it was reactivated in December 1936. Squadrons 144 and 61 of Bomber Command were the first residents, flying Hampdens on some of the earliest and costliest raids. When Britain declared war on Germany in 1939 RAF Hemswell was the only airfield in North Lincolnshire to take part. 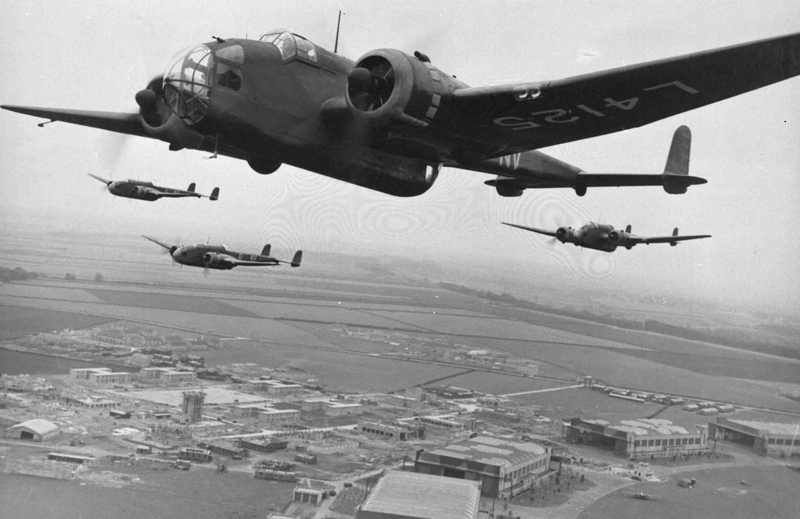 The Hampdens of Hemswell were the first aircraft to drop bombs on German soil. To the delight of returning veterans in recent years, Hemswell is perhaps the only pre-war RAF Station converted to private use. It has retained its character and still has an unmistakeable Royal Air Force feel to it. Our claim to fame, many of the ground shots from the 1954 film 'The Dam Busters' were filmed here due to the layout of RAF Hemswell being identical to Scampton.